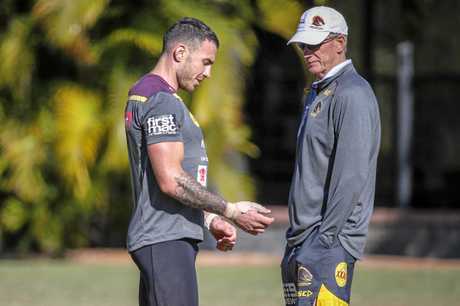 RUGBY LEAGUE: Broncos coach Wayne Bennett is not concerned about any long-term implications after Darius Boyd suffered another hamstring injury in pre-season training on Monday but conceded that there are no guarantees with such injuries. Boyd suffered a minor hamstring strain during training on Monday to the same leg that caused him to miss the first two weeks of the 2017 finals series but Bennett confirmed that it was a different muscle to that which was injured late in the first half of Brisbane's Round 26 clash with the Cowboys. In turning to chase a Cowboys kick just inside the Broncos half Boyd fell to the ground clutching at his left leg and played no further part in the match. 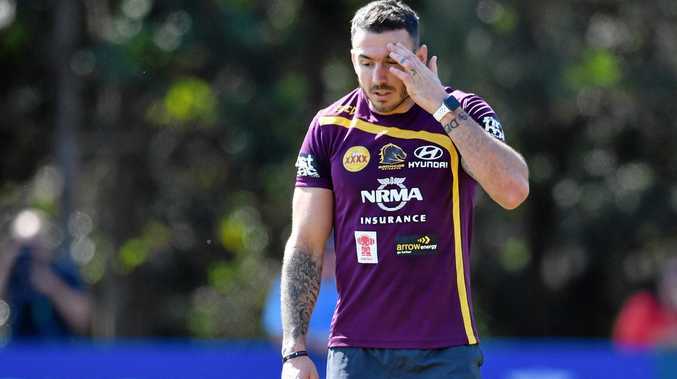 He missed finals games against the Roosters and Panthers before lining up against the Storm in the preliminary final where his hamstring woes were clearly still evident, the Broncos skipper forced to leave the field after 54 minutes. He skipped the Kangaroos' World Cup campaign in order to allow the hamstring to fully recover and Bennett said he remains hopeful that the latest setback is a minor one and not something that will be an ongoing concern. "Not at the moment we're not. We hope it's not but who knows,” Bennett said when asked whether he was concerned about it developing into a chronic problem for Boyd. "He's just having a little bit of a problem with his hamstring but it's a different one that he had at the end of the season. "It's a different muscle in the back of his leg. Same leg but different muscle. "He'll be two or three weeks and then he should be right. The 30-year-old signed a new four-year deal with the Broncos back in October and is a key figure as the Broncos full-time squad undergoes a generational change. 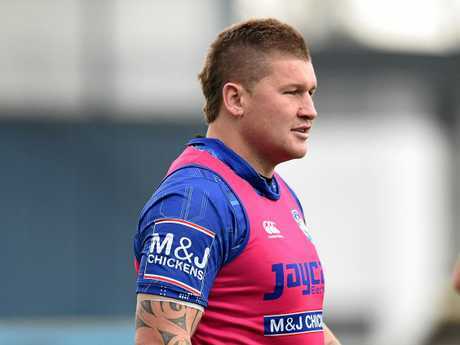 Elsewhere in the NRL Titans prop Max King is awaiting a return to training but Bulldogs back-rower Greg Eastwood is back on the paddock after the pair received treatment for irregular heartbeats. 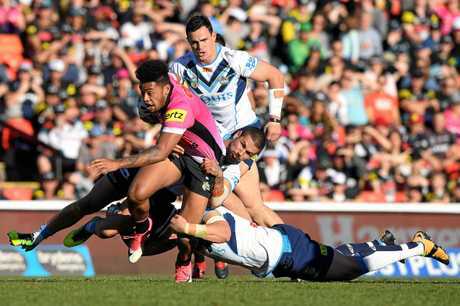 King, 20, made his NRL debut in 2017 and has undergone a procedure to rectify the abnormality which has troubled him for some years and is still awaiting final clearance to be able to resume training. King's heart troubles were similar to that of Bulldogs enforcer Eastwood although Eastwood had no history of heart problems. The veteran forward had surgery last year to fix the problem and has since resumed training. Meanwhile new Penrith recruit Tyrone Phillips will miss the first half of the season with a torn pectoral. He'll be out for six months, joining young playmaker Tyrone May (ACL) as the only other serious injury at the club. Corey Harawira-Naera and Waqa Blake are both recovering from shoulder injuries but coach Anthony Griffin expects both men to be available for the season proper. "We've got two recons with Harawira-Naera and Blake,” Griffin said. 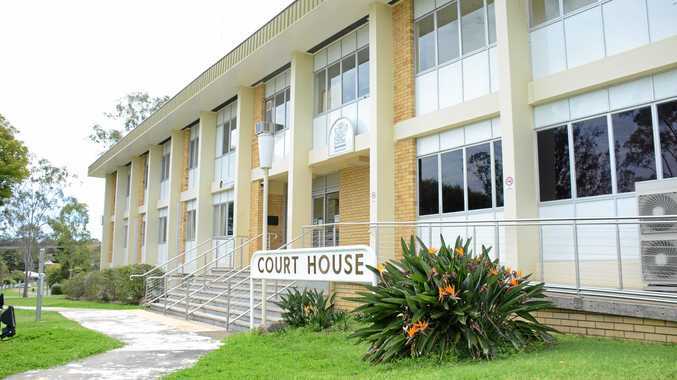 "We're expecting both to trial.